There has been a small increase of $30- to our Under 6 and Under 7 boys with all other fees remaining unchanged. We are also happy to advise players names will return to the back of the playing tops (home and away) and players will retain their tops. The second playing top (away) will replace the previous training tops provided. 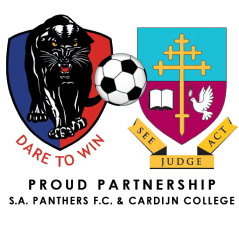 A reminder to all members that any player who played up to Under 13’s (boys) and Under 15’s (girls) in 2018 is guaranteed a spot at SAPFC for season 2019. We acknowledge those players that are loyal to us and are determined to repay the faith you have shown in our Club. Please note however that ALL players, new and existing must register on line prior to trials, you can do so by clicking here. Whilst this is not a commitment on behalf of the player or the Club it will enable us to conduct our trials more efficiently. All players that are successful in gaining a playing position with the Club will be notified via email shortly after trials. ** Please also note if in the event a deposit has been paid and the Club is unable to offer a position (due to lack of numbers etc) a full refund will be provided. Regards and all the best for season 2019. Electronic Funds Transfers (EFT) can be made to the following details.